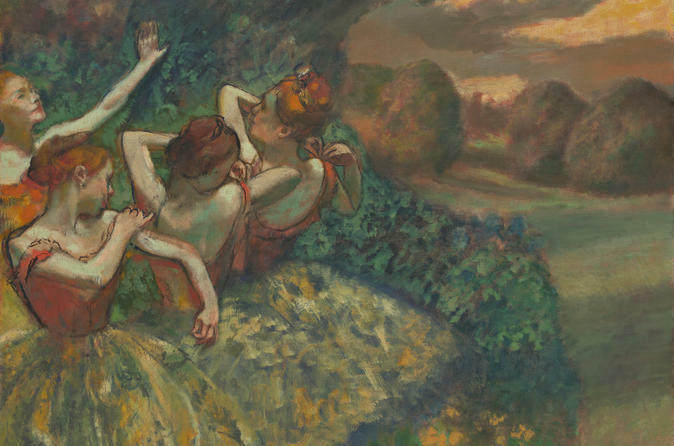 Join Meghan Hanson, Museum Certified International Tour Director, for an insider small group private tour of the National Gallery of Art Impressionism Collection. She will walk you from the beginning of the movement, to the heights of the movement, and finally to the eclipse of the movement. Along the way, she will point out examples of specific art pieces that helped us form our idea of Impressionism art. On her 30 plus list of paintings, she will explain why these artist were able to create these wonderful paintings. Group meets at the National Gallery of Art 6th Street Entrance Ground Level. Your tour guide Meghan will meet all attendees 15 minutes before the tour begins. Group will walk to the Impressionism Art Gallery. First, the beginnings of the Impressionism movement will be explored. As the history unfolds she will touch on the reasoning behind the political factors that pushed artist into rebelling against the establishment. She will also talk about the technology advances that made it possible to go farther outdoors to find your subject. She will touch on the mind set of the different artists that were pivotal into establishing this movement of art as the beginnings of the Modern Art Movement.